In the pharmaceutical industry, automated packaging is a necessity when packaging prescription medication. Robotic packaging systems keep the process fast and accurate, filling and sealing containers for mass production of pharmaceutical products. The use of this equipment during the packaging process will help eliminate human error and ensure that packages are of consistent quality. There are several types of robotic packaging machines that are available for use in pharmaceutical applications. This equipment includes horizontal form fill and seal equipment, checkweighers, and palletizers that can successfully package many types of medications in various container styles. 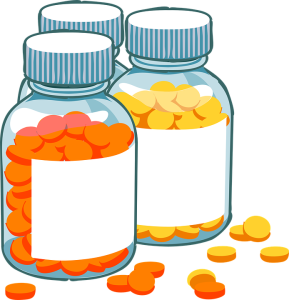 When packaging medications in tablet or capsule form, automated form fill seal equipment can easily meet these products’ packaging requirements. This robotic equipment can keep the form, fill, and seal process efficient from beginning to end, making sure that pharmaceutical products are accurately filled in containers of various shapes and sizes. Pharmaceutical form, fill, and seal equipment is intended to comply with FDA standards, keeping product orders consistently in adherence to industry regulations. Both vertical and horizontal form fill seal machinery are used for pharmaceutical products. To ensure the accuracy of medication packaging, checkweighers are among the important equipment to integrate in robotic packaging systems. Checkweighers measure the weight of filled packages to make sure the weight is consistently accurate during the packaging process. These machines are also designed to meet FDA standards. Robotic packaging machinery is also used for the packaging of many nonfood items. Buying new packaging machinery may be the first decision for many companies that want to create new robotic packaging systems, but purchasing used equipment can come with benefits you won’t find with new machines, apart from lower prices. These services can maximize the longevity of your packaging equipment, helping you maintain a consistent level of efficiency and effectiveness in your operations. Companies that sell used packaging machinery also typically make sure that each piece of equipment is in working condition prior to reselling, which means that used machines from the right company are as reliable as new models. A company like High Performance Packaging ensures that machines in used condition don’t indicate a decrease in quality. If you would like to fully automate your packaging line, High Performance Packaging offers a complete selection of used equipment for a wide variety of applications. Integrate our equipment for use in pharmaceutical packaging lines along with many other products, including both food and nonfood items. If you’re unsure of which type of equipment is ideal for your facility, our expert technicians can help you select the right machines for your application. If you would like to get started on designing a custom system of packaging machinery in your facility, contact High Performance Packaging today.